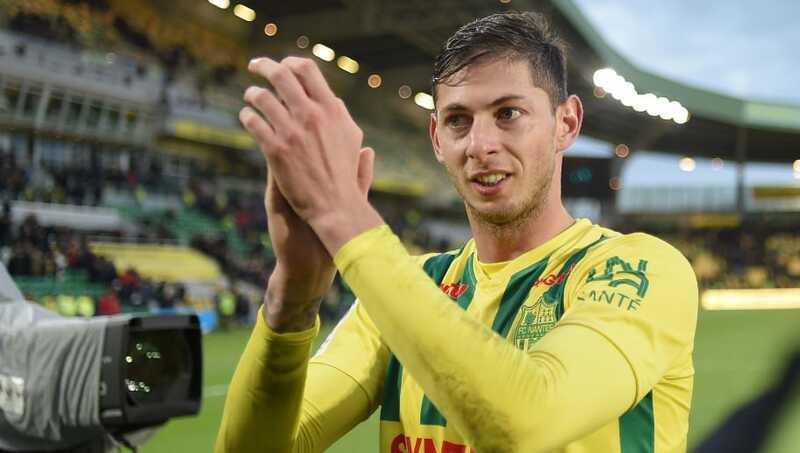 ​Emails from football agent Willie McKay have revealed how Cardiff City managed to persuade Nantes striker Emiliano Sala to sign for the club. After agreeing a £15m move to join the Bluebirds in January, a plane carrying Sala disappeared on the way to Cardiff. No trace of Sala or pilot Dave Ibbotson have been found, and searches for the missing aircraft have been underway since the plane's disappearance. Agent Willie McKay was involved in negotiating the deal and, according to emails obtained by ​L'Equipe, McKay was incredibly influential in convincing Sala to agree to join ​Cardiff. In an email from McKay to Sala, McKay said: "[Cardiff] will pay you around £50,000-per-week, plus bonuses, on a contract of four to five years. And whoever accompanies you, whether it is your agent or your mother, who, according to English law, can represent you, could claim around £1m from the deal. "It is said that you did not want to go to Cardiff. It is probably our fault because we have said in the media that other clubs like ​West Ham, ​Everton, etc were interested in order to create an interest around you. "We make transfers! More than 600 until today, from Didier Drogba, to [Nicolas] Anelka, [Dimitri] Payet, [Jean Michael] Seri, [André-Frank Zambo] Anguissa. Let us introduce you to the way we operate and how we came to this Cardiff City saga. "We work for clubs in France, and for players who want to be transferred to England. As far as you are concerned, we have talked to all the clubs, including Manchester, ​Chelsea, ​Liverpool. We think you could end up in such clubs. "We approached Nantes, as we do with many players in other clubs, to obtain the mandate of sale. We are not preventing you from working with another agent, but most players are very satisfied with our mediation. We do not say 'we are like a father to a son to our players'. No, if you had not been a footballer, these people would not be interested in you. "In the end they are only interested in the money. What we all want a lot of, of course. That's why we like to work with just the clubs. No sentiment, we're just doing business. My experience says: if you do not go for the Premier League now, you will regret it."